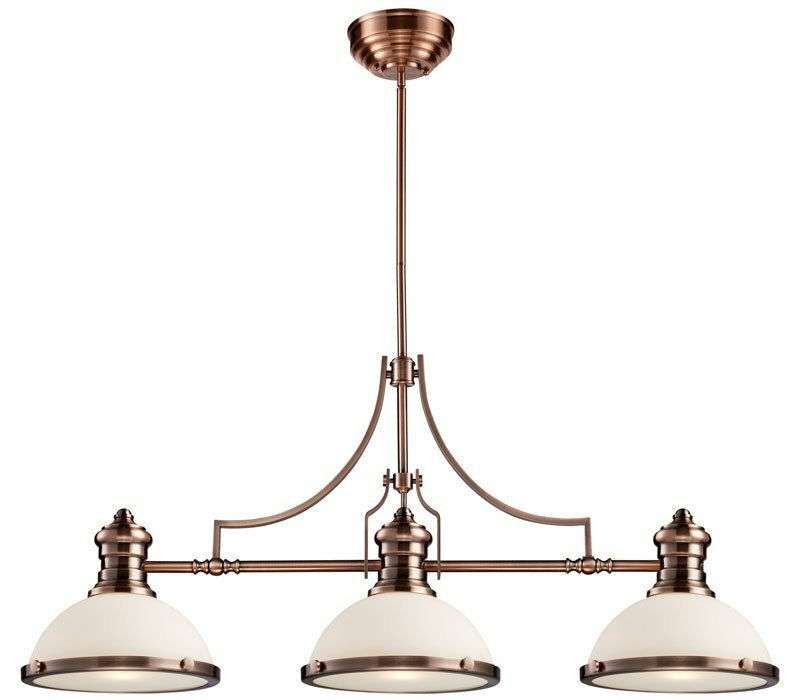 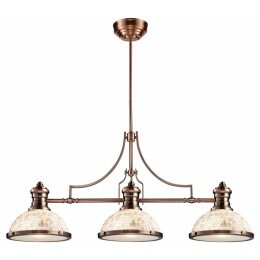 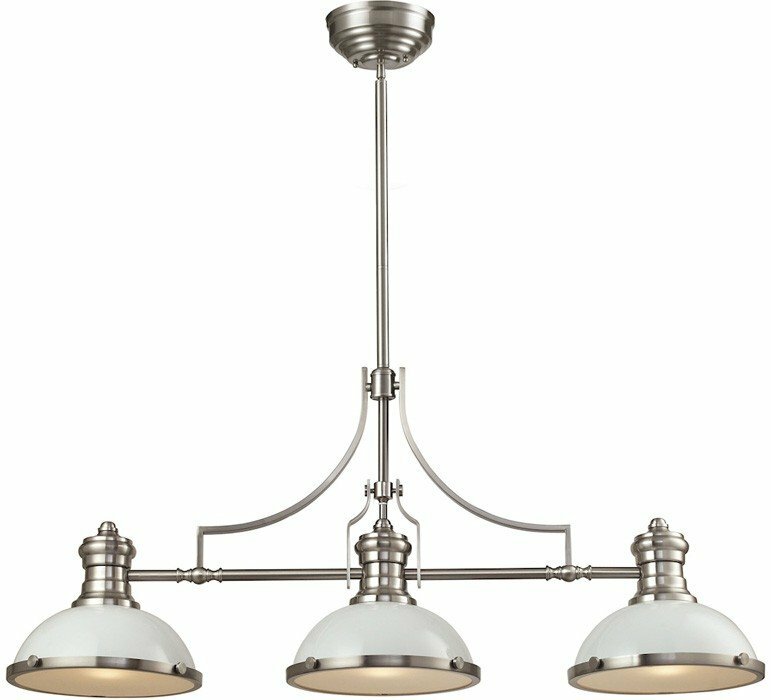 The ELK 66245-3 Chadwick collection Chandelier Lighting in Antique Copper uses Incandescent light output and brings Antique style. 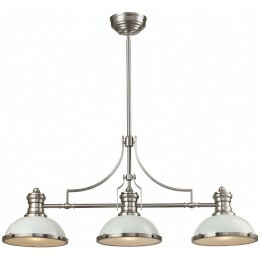 The total wattage is 300 and the voltage is 120 volts. 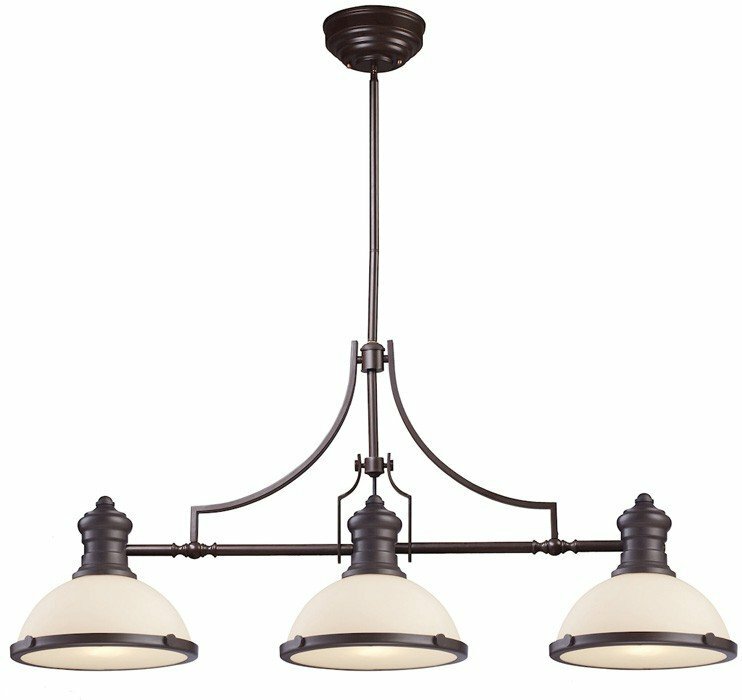 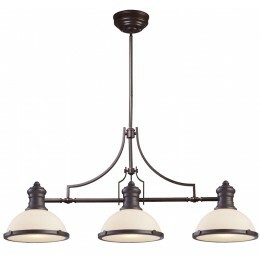 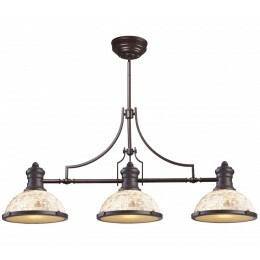 The ELK Lighting 66245-3 requires 3 bulbs (not included). Additional Information: Shade-White Glass - Type 5.